The experienced criminal defense attorneys at Foster & Harmon P.C. know the law, the courts and more importantly, they have the expertise to successfully navigate the legal system to protect your rights. 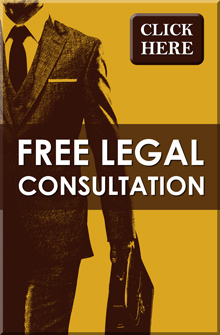 Do you need an attorney in the greater East Lansing area or Michigan? 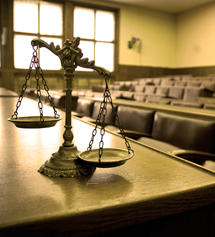 It’s our Michigan Attorneys experience that will make the difference in your case. From beginning to end, we're here to help! Read more about your specific type of legal service our lawyers offer: Divorce, Mediation, Personal Injury, Workers Compensation, Adoption, Criminal Defense, Social Security, Bankruptcy, Car & Auto Accidents, DUI & Drunk Driving, Wills & Trusts, Estate Planning and more. You can find a complete list of our legal services here. Our Michigan Attorneys and East Lansing Law Firm serve the greater Lansing area and Michigan, including Lansing, Okemos, Holt, Dewitt, St Johns, Haslett, East Lansing, Grand Ledge, Charlotte, Mason, Portland, Williamston, Laingsburg, Owosso and all other Mid-Michigan cities. If you have been arrested, you need an experienced Lansing area criminal defense attorney as soon as possible to make sure your rights are respected and that your case is properly investigated by a lawyer. Read more about criminal defense here. Divorce can be a difficult and painful time for you, your spouse, and your children. At the Law Firm of Foster & Harmon P.C., our experienced Lansing divorce attorneys will assist you through this difficult process. Read more about our divorce law services here. The Estate Planning Attorneys at Foster & Harmon P.C. are familiar with state and federal laws regarding estate planning in Michigan, and are available to provide experienced and insightful legal representation to prepare a custom fit estate plan for your unique situation. Read more about wills and estate planning here. Our Social Security Attorneys at Foster & Harmon P.C. are qualified and experienced in Social Security Law throughout Michigan. Most people are denied Social Security benefits on their first application and are successful on their appeal after hiring an experienced social security attorney to represent them. Read more about social security law here. At Foster & Harmon, P.C., our mediation attorneys understand the difficulty involved in a separation or divorce. Separation and divorce can be the most painful and disruptive events that an individual and family can experience. Read more about our mediation attorneys here. Family law is an area of law that deals with all aspects of family relations including; adoption, child custody and visitation, child support, pre-marital agreements, separation, divorce, alimony, mediation and other legal issues pertinent to the family. Read more about family law here. If you need a Lansing area Drunk Driving Attorney or DUI Attorney in the mid Michigan area, our DUI attorneys will offer you skill, honesty, experience and integrity when defending your drunk driving or DUI case. Read more about DUI and Drunk Driving here. Trust the experienced drug charges defense attorneys at the criminal defense law firm of Foster & Harmon P.C. Whether it’s a misdemeanor or felony drug charge, we can help. Read more about our criminal drug charges here. Embezzlement is theft by fraud, as it usually does not involve any form of violence. The most frequently charged embezzlement offenses involve employment relationships in which the employee embezzles funds or property from the employer. Read more about embezzlement and fraud here. If you are in debt and considering filing for Chapter 7 bankruptcy or Chapter 13 bankruptcy in the mid Michigan area we can help you determine whether your situation warrants filing bankruptcy in order to avoid foreclosure or protect your income. Find out more about bankruptcy law here. If you are considering adopting a child, our experienced Michigan adoption attorney, Cynthia Harmon, can advise and represent you through all stages of the process. Our Michigan adoption attorneys represent clients in several different types of adoption proceedings. Read more here about adoption in Michigan here. If you have been injured at work or denied worker’s compensation benefits, you may be entitled to worker’s compensation. The workers compensation attorneys at Foster & Harmon, P.C., in Lansing, Michigan, have 30 years of experience collecting workers compensation benefits for their clients throughout Michigan and can help you take control of your worker’s compensation situation. Read more about workers compensation here. Our personal injury attorneys at Foster & Harmon P.C. specialize in Personal Injury law and all corresponding legal issues. We are here to assist you with any and all personal injury inquiries. Read more about personal injury in Michigan here. Car accidents happen every day in Michigan, injuring, and even killing, hundreds of people. When the negligence of others is the cause of these auto accidents we can be a solution to your legal needs. Read more about auto and car accident law here. Injured victims, and the families of those killed in a vehicle accident, have the right to file claims or lawsuits against the responsible party. You can recover medical expenses, lost income, and compensation for pain and suffering. Vehicle accidents can involve a truck, motorcycle, car or pedestrians. Read more here about vehicle accidents here. Our Michigan dog bite lawyers possess the experience and the knowledge of Michigan dog bite law that you need fighting for you. Read more about dog bite law in Michigan here. A traumatic brain injury can be a life-changing event. Many victims will lose their ability work and require a lifetime of specialized care. Brain Injury Attorneys at Foster & Harmon P.C. will work aggressively to obtain the compensation needed and deserved by brain injury victims. Read more about brain injury here. If you have any questions regarding the different types of Lansing legal services we offer or if you want to speak with an attorney, contact us here or call us directly at 877.522.0380.